OBAMA SAYS HE ASKED IRS CHIEF TO RESIGN, ‘OUSTED’ CHIEF SAYS HE LEFT BECAUSE POSITION ENDS IN JUNE……. – The Tundra Tabloids……. OBAMA SAYS HE ASKED IRS CHIEF TO RESIGN, ‘OUSTED’ CHIEF SAYS HE LEFT BECAUSE POSITION ENDS IN JUNE……. Nothing that Obama says has any basis in the truth, so he’s the one to unravel this mess, something of which he knew about a year ago and did nothing? There needs to be a full congressional investigative committee with subpoena power to get to the bottom of this, and as radiio talk show host and litigating lawer from the Landmark Legal Foundataion, Mark Levin, said last night, there has to be a concerted drive by the congress to end the IRS once and for all and institute a fair tax system. NOTE: The IRS is to damn big and abusive, and it’s no wonder Obama is using it to implement Obamacare. All those new agents hired by Obama, their main goal to manage you. 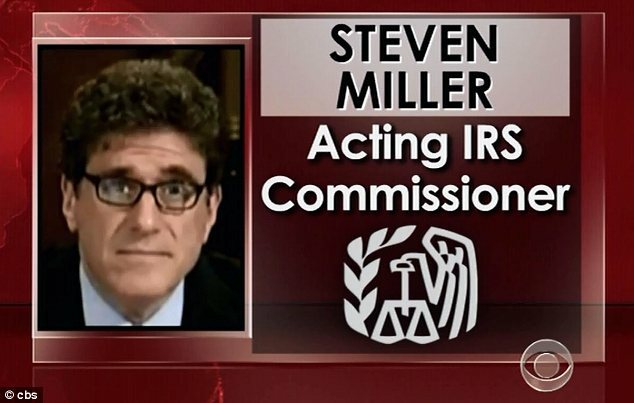 President Barack Obama has thrown his acting IRS commissioner overboard, making Steven Miller the highest-ranking political casualty thus far in a series of scandals that have swept his administration in recent weeks. Previous Post Previous Post LEGACY MEDIA BEGINS TO PILE ON IRS-GATE……. Next Post Next Post TORY REVOLT OVER LACK OF REFERENDUM ON EU MEMBERSHIP VOTE, UKIP CHAMPIONS AGAIN……..
Douglas Shulman was the IRS commissioner from March 2008 – November 11, 2012. As is well known, Obama has been president since January 2009. This is when all the abuses against his political enemies and pro-Israeli groups began. The manure starts at the top and trickles down.